Super Sprouter® 50 cell Root Star® tray insert is custom designed to properly support the Perfect Plugs while directing the roots down through its star pattern design. The patent pending design also allows partial root pruning to strengthen the directed roots. 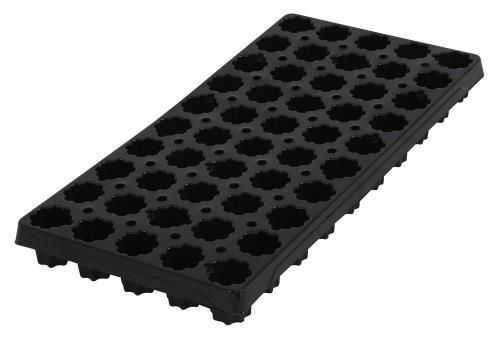 Fits snugly into Super Sprouter® 10 x 20 in propagation trays. This Root Star® insert is very durable at 2 mil thickness. Individually marked with a UPC label for retail use.